1. How can I get in touch with your technical support team? 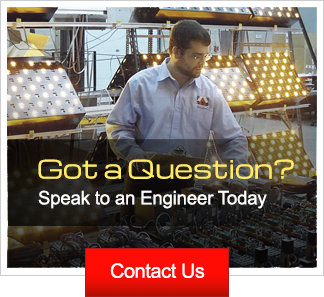 Our technical experts are available via phone or e-mail, both of which can be found on our Contact Us page. We guarantee a response within 24 hours! 2. Can SESA help us design a solution as well as providing the products? Absolutely, in fact we would prefer that! At SESA we are extremely solution oriented. We treat each project as a new puzzle and an opportunity to get to know you and your specific needs. You will be assigned a sales rep and a customer technician who will work closely with you to analyze your project needs recommend the best approach. 3. Are your DMS NEMA TS4 tested and compliant? Yes! All of our products are comprehensively tested and fully compliant with NEMA TS4. 4. What is SESA's approach to spare parts and replacements? We are continually improving our spare part policy to ensure that your signs have minimal downtime in case of part failure. We have an efficient order response system and a large in-house inventory that let us guarantee you a replacement will ship within 72 hours of us receiving your defective part. If the part can not be repaired or is no longer under warranty, we will send you a quote on the replacement within the same 72 hour window. 5. Do you offer training and/or product assistance? Of course! We want the transition to using our products to go as smoothly for our clients as possible. We will provide your technicians with hands-on training, putting them through real-world trouble-shooting scenarios to make sure they can handle future issues quickly, effectively, and confidently. 6. What kind of assistance can you provide during installation? We take pride in the fact that our DMS are easy to install and we will provide you with detailed mounting instructions and advice. If the type of installation is new to your team or there are special conditions for the install, a technician can be dispatched to site to help with the work and inspect the system when it is complete. 7. What happens at the end of my SESA product's life? We approach aging signs the same as we would any other project, and will recommend the best approach for your situation. We maintain a spare parts inventory to support all our products for as long as we can purchase components from our suppliers, so if we can replace some key components to keep a sign running, we will. If a component for an older sign is no longer on the market, we are happy to put together a system to refurbish the failing parts. Purchasing a new sign is of course always an option, but we also offer a unique retrofit kit to upgrade older signs within their original housing. We will always consider your specific situation and make a recommendation accordingly, so don't hesitate to call and ask! 8. What sort of maintenance do SESA signs require? SESA DMS are easy to maintain thanks to their simple designs and built-in diagnostic capabilities. The electronic components are integrated into a few major parts, which reduces the overall number of components and therefore also risk of failure. We use as few connections as possible to avoid failures due to loose connections. Out signs do not need ventilation which means there is complicated ventilation system with dusts filters and other mechanical devices to maintain. Finally, our controller will clearly display any faults or malfunctions that do occur, which, combined with access to a web based firmware, allows for easy reporting and testing. 9. What type of LEDs does SESA use in its signs? Our DMS have used surface mounted LEDs for their superior quality since 2006. Surface mounted LEDs are more efficient, more powerful, and more color stable than other types of LEDs. 10. Why don't your signs need ventilation? You should first know that we can always provide fans and air circulation systems when it is required by specifications. That said, none of our technology requires ventilation or cooling systems. The reason for this is that ever since our first DMS in 1986, we have made a point not to settle for quick fixes when it comes to signs for our clients. We use exclusively high quality components, managed at low current and installed in our DMS to avoid "hot points". Our power supplies also have their own dedicated fans and do not require additional cooling. All of this forethought and care in design has meant that SESA DMS has always been ventilation-free for easier and cheaper installation and maintenance. 11. What makes SESA signs more energy efficient than the industry average? Energy consumption has been one of our primary concerns for years. Because our front face design improves the optical performances of the DMS, our LEDs require less power, which reduces the internal temperature and eliminates the need for ventilation. These factors, combined with highly efficient power supply units, allow our DMS to consume an average of 30% less power than other industry signs while maintaining optimal brightness and visibility. 12. Do SESA solar signs require additional maintenance? In short, no! The only important differences between an solar and traditional DMS is the energy chain, which requires virtually no maintenance at all. The batteries are gel, the solar panels are a stand alone system, and the rest of the components are standard electrical equipment, none of which requires special maintenance measures or costs. 13. What types of DMS can SESA retrofit? Almost any type DMS can be retrofitted. If you are interested in retrofitting a sign, SESA will conduct a survey to verify if the housing is in good shape and if the front face design matches our display boards. We will never retrofit a DMS if that is not the best technical and economic option for our client. 14. Can my older amber DMS be retrofitted to be a color sign? Yes! Keep in mind, however, that the DMS must be fitted to accommodate the narrower pitch needed for a color display board. Our technician will conduct an evaluation survey for each case to assess feasibility and make a recommendation accordingly. 15. Is your controller NTCIP compliant? Of course! We comply with NTCIP v2.39 and our controller can communicate with most US computer systems without any additional configuration. 16. What is different about version 3 of the SCU6 controller? 1. The new controller has a color touch screen, allowing for easy and clear manipulation and testing of signs without the need for additional devices or peripherals for input. Configuration of main parameters like communication, fault thresholds, etc. See the SCU6 product page for more info! 17. How are SESA controllers configured? Our controllers are configured through an easily navigated web server. No specific software is required and you can access it through any web browser. 18. What are the benefits of having embedded digital I/Os included on our controller? Embedded digital I/Os allow you to connect any sensor with a dry contact directly to our controller. This feature could be used to create a system that might, for instance, trigger a specific message when an event occurs such as a heavy truck crossing a low capacity bridge. Outputs can then be used to control gates or other devices in a simple system. In other words, your DMS controller can act as a simple PLC alongside its other functions. 19. What is the difference between the M5000 and the M6000? Both DMS use similar technology. The differences lie in the size and housing technology, with the M5000 being the smaller of the two, designed to be mounted on static signs. 20. How do SESA Lane Control systems manage and standardize sign brightness? We understand it is important to keep brightness level uniform across all LCS installed on a given structure or toll booth. To ensure this, we manage sign brightness through a common light sensor for all units, which are then dimmed or brightened simultaneously. If a dry contact system is used, the LCS will have 3 brightness modes (Day, Night and Over-bright). 21. Do you offer dry contact connections for your Lane Control Signs? Yes we do! Our Smart LCS can be connected either to the SCU6 controller or to a dry contact system. In both cases, you will be able to receive LCS status signals that indicate if each LCS is functioning normally.